Take your machine learning skills to the next level by mastering Deep Learning concepts and algorithms using Python. With an increasing interest in AI around the world, deep learning has attracted a great deal of public attention. Every day, deep learning algorithms are used broadly across different industries. Starting with a quick recap of important machine learning concepts, the book will delve straight into deep learning principles using Sci-kit learn. Moving ahead, you will learn to use the latest open source libraries such as Theano, Keras, Google's TensorFlow, and H20. Use this guide to uncover the difficulties of pattern recognition, scaling data with greater accuracy and discussing deep learning algorithms and techniques. Whether you want to dive deeper into Deep Learning, or want to investigate how to get more out of this powerful technology, you'll find everything inside. Python Machine Learning by example follows practical hands on approach. 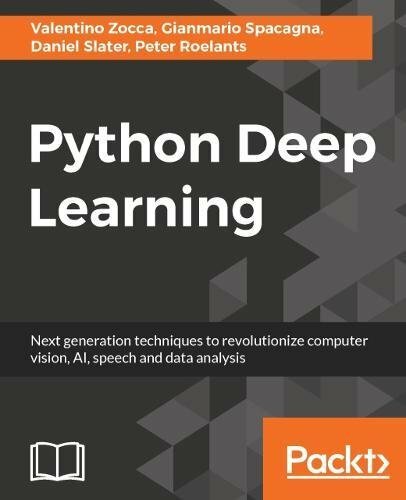 It walks you through the key elements of Python and its powerful machine learning libraries with the help of real world projects.